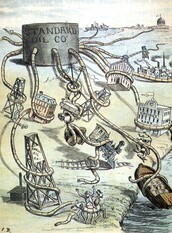 Standard Oil was an oil company that was created by John D. Rockefeller. 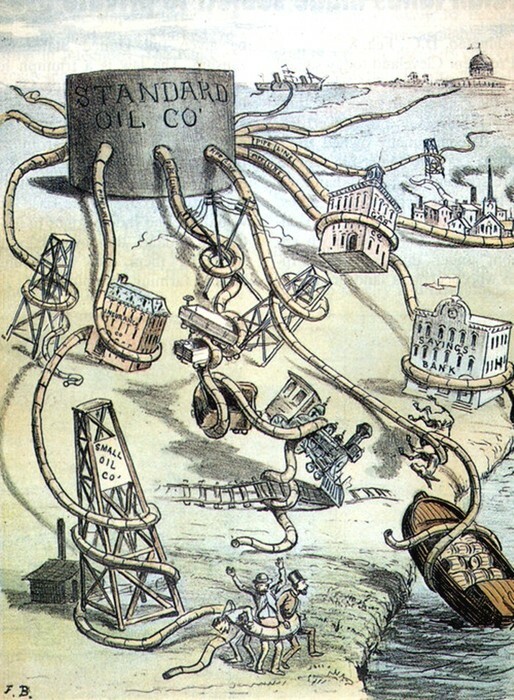 The Oil company had created a monopoly, because of that they ended up generating a lot of revenue. With a lot of the money that they were able to earn they were able to persuade the government in making important decisions. Finally Theodore Roosevelt also known as "The Trust Buster" was able to make sure that the company didn't have to much power. I am not proud that the government was corrupt enough to let such a big company have such a big role . During the 19th century there was a huge change in the economy. Before a lot of Americans were able to make a good living by farming. But then there was a drastic change and America started going through the industrial revolution. 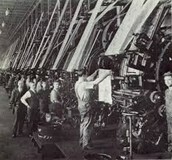 Some of the changes that were noticed were that the cities were becoming more and more crowded and increase in factories. 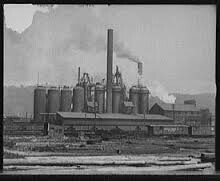 I was proud and disappointed in this step forward because with such crowded cities the living conditions were bad, but I am proud because it was a huge step in starting to be able to mass produce products and gave people jobs. 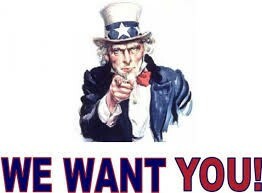 During the industrial revolution a lot of immigrants came over to America and attempting to live the "American Dream". But when most of them first came over they couldn't afford to spend a surplus of money of a nice house so most of them had to stay in a tenement house. The only problem was that there would be a family of four or bigger an a room that is only supposed to fit one person. This lead to diseases being easily spread throughout the tenement houses. I am ashamed that his happened because a lot of Americans were poor because they would just take any job because they needed money. 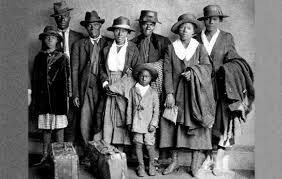 When many people were coming to America so were Chinese. The difference between the Chinese and the other races coming to America was that the Chinese we treated completely different. Chinese had to stand in a line for many days and had to go through tedious task before they were giving the chance to live in America. 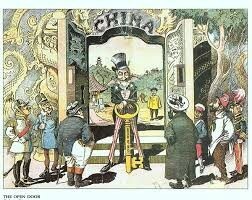 The Chinese exclusion act was also created to prohibit Chinese being granted to live in America. I do not support how America handled the situation because I feel like was a step backwards toward ending racism. Whenever a lot of Immigrants came to America they were all pursuing one thing: The American Dream. 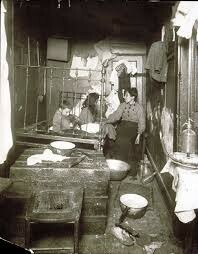 Many though ended up getting stuck in tenement houses and making very little many doing arduous jobs that could last up to twelve hour shifts. Then all of the money they would make would have to go toward paying rent and food and barley even had time to do anything relatively fun. This was also a time that many people began drinking which caused many to become alcoholics. I am sad that many immigrants came with false hope and had to live hard lives and not get treated how they should be treated at work. Also when a lot of people would come to the U.S. a lot of them came from different regions or places. This caused a Diversity of a bunch of different races compiled in one small area. We can still see remnants of this today by looking at New York. A lot of cultures were confined to one area and created places such as Chinatown. I am proud of this because it created diversity and a lot of cultures were able to learn from others. With urbanization there were becoming needs of more and more specific types of jobs. Such as police officers and firefighters. These jobs were meant for people that wanted to protect the city that they live in. Many of these jobs required many of hours put in. I was proud because this is a step in the right direction toward protecting cities. With more and more people moving to popular cities there was a need for a way to transport people from the smaller cities to the bigger cities. This is when the railroads were created. 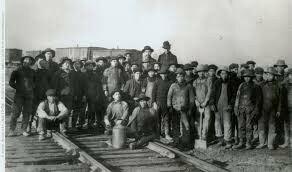 The only problem with railroads was that it needed a lot of people to work on it and that it was a tedious job. This is where most of the chinese were given the opportunity to work. I am both proud and ashamed of this, ashamed because of the way chinese were treated, but proud because it was a huge creation in the transportation sector. When a lot of people live in a small area it is hard to find jobs and hard to find somewhere to live. Because of urbanization a lot of people were living in big cities trying to make a living. Finding a job wasn't the hardest thing but being able to make a good living and support an entire family was hard, so then children would start working to help families. This was bad because not many people were able to live the live they wanted to. At the beginning of the Progressive Era there weren't a lot of people that supported progressivist. 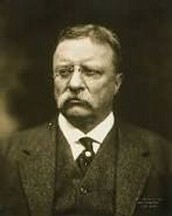 One of the most popular was President Theodore Roosevelt. Some of "Teddy's" views were that we needed to correct all economic, social, and political issues. Teddy was also known as the "trust buster" because he didn't support bad trust or monopolies so he sought out to make sure that they all cease to exist. I am proud because this started shaping the government in the right way. Because of urbanization and the difficulties of being able to support a family most children were working. This wasn't beneficial to the kids because they wouldn't be able to get an education and wouldn't be able to work anywhere better. 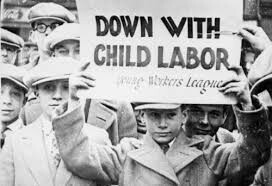 Then came the Child Care act which doesn't allow kids to work. This was good because it then let the students get an education and hopefully be able to get a better job when they were older. 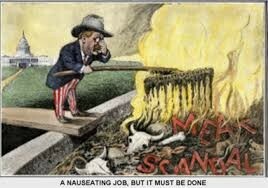 During the progressive era "Muckrakers" became a popular job. These were people that sought out to find the corruption within the government. They would then expose this to the rest of the U.S. They would sometimes us the writing style of "Yellow Journalism". This I am proud of because it exposed America for its corruption. Whenever a country is able to produce things such as wood but not something like potatoes is when a company trades. The only problem was that some countries couldn't trade with other countries. 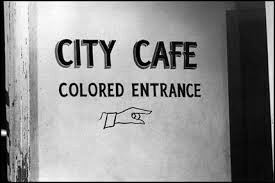 This is when the open door policy was created. It let any country able to use the ports of China. When Panama gained its independence America told panama they would help build the panama canal. This was a scheme used the the U.S. to try to gain and economic and strategic advantage. It was built and was a good way for America to make money. It also helped ship such as cargo ships or even military ships to get from the atlantic ocean to the pacific. I am proud of this because America was planning ahead on how they could use the canal. With imperialism came racism. It happened because so many different races were exposed to each other at the same time. This caused a bunch of feuds and such to erupt constantly. This was disappointing because one would thing that America would do a better job of protecting their citizens. 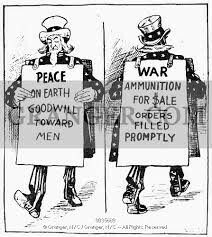 When the war initially broke out America said that they wouldn't attack and that they wouldn't help any countries. Then they end up helping countries. This was not fair because they said that they wouldn't help. I was disappointed about this because I don't like liars. 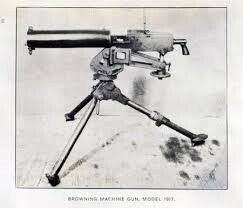 At the beginning of World War I there weren't many powerful weapons. Therefore more powerful weapons were created. Weapons such as tanks and machine guns. I was proud of this because it was a huge step foreword in technology. During WWI there was a draft. A draft is when you are older than 18 and you are chosen to go fight in war. The reason this was done was because one side of the war didn't have enough people to fight back. I am sad about this because I think that the people older than 18 should have the option of going to war or not before they make it mandatory for people to go.